Are you ready to learn How to Create a Pinterest Moodboard for your Brand? 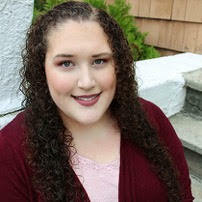 Miranda is a graphic designer who specializes in ebook and opt-in freebie PDF creation. She blogs about all things business, blogging, and graphic design over at http://www.mirandanahmias.com/colorscheme. Be sure to hop over and visit her blog + stalk her on social media! Branding is a complicated and confusing (yet totally necessary!) part of running any blog or business. When I was working on narrowing down and defining my own brand, creating a Pinterest moodboard was a really helpful part of the process for me. Conceiving your brand’s aesthetic using visuals, instead of just words, thoughts, or feelings, can help you figure out exactly what you want people to associate your brand with, and cement your brand’s core themes in your mind. I first created my brand’s Pinterest moodboard before I even launched my brand, and I constantly go back to it. It’s a really great visual reminder of exactly what my brand is, and the kind of feelings and associations that I should be striving to create for my audience with everything that I do. Making that Pinterest moodboard for my brand was one of the most fun parts of starting my business, and although it can kind of seem like a silly exercise to go through, it’s actually been helpful to me time and time again, and I make them all the time for my clients! If you don’t already have a Pinterest account (seriously, what are you doing with your life? ), you should make one ASAP. Create a public or secret board entitled: “YOUR BRAND” Brand Moodboard, and get to work! Start filling your Pinterest moodboard with images that inspire you, or that you find aesthetically pleasing. Keep in mind the words, colors, and images that you might already commonly associate with your brand. When you’re done, you should have somewhere between 20–50 images that “speak to you,” and/or which you feel represent your brand. If you need an example, you can check out my personal Miranda Nahmias Brand Board, or view this Sample Mood Board that I’ve created! Some other good words to use when you’re searching are “decor,” “inspiration,” “artwork,” “fashion,” etc. Now that you’ve finished creating the board, let’s step back and take a look at it. We want to make sure that your board is truly an accurate reflection of your brand. Now, let’s take another scan through. As you’re scrolling through your pins, are you starting to notice common themes between the images? Have you added images that include the same colors, patterns, or overall style? Maybe there are lots of gold accents or bold lines and shapes. That’s great! Finding patterns within your board means that, subconsciously, your brain already has a good idea of what your brand should look like. You just need to keep listening to that little voice inside your head! Go back to the Pinterest homepage and start searching for pins that specifically match those common themes you found in your board. Add 10+ more pins that fit within that style, and then go back to your board. Now that you have a bunch of pins that are all sort of similar, look through your board again and see if you see a couple more that don’t exactly fit and get rid of those. Going through this process more than once is what’s called “curating,” and it’s actually an important part of the process even though it sounds tedious! At this point, your board should be filled with images that are each connected in some way, and they should collectively remind you of your brand, and how you want your audience to envision it. Create a Brand Moodboard Template in PicMonkey! I gathered the photos that were in my Pinterest Moodboard and created this easy peasy moodboard. Now, all over Pinterest there are lots of pdf templates for Photoshop and those are great, but I used my handy dandy PicMonkey photo editing software to create this image and was done in 5 minutes – holla! Add your team members as collaborators onto the board, in order to give them a really good idea of what your brand represents. This could be helpful for anybody you work with, including graphic designers, brand specialists, coaches, and virtual assistants. Use it to help create a color scheme for your blog! Do a lot of your images have the same colors? Use those colors throughout your blog’s design! They clearly are a big part of your brand’s aesthetic. Now what are you waiting for? Go and create your Pinterest Moodboard now!! If you already have one, share with us below. A big shout out and thank you to Miranda for guest posting!! Visit her on social media and tell her how fabulous she is y’all!! stock photogrpahy provided by Haute Chocolate photography! I just launched my blog this month and have been finding Pinterest overwhelming! This post has been a huge help for me. I can’t wait to get to work using these great ideas! Thank you for sharing. I also took a look at your Pinterest profile and it is beautiful!! You use some of the same colors I do on my blog (I love pink and gold! ), so it was very encouraging and inspirational! Congratulations on the launch of your blog. I just looked around your site and it looks awesome! This is very helpful! I’ve had my Rose City Reader blog for over eight years and it needs freshening up. I love the look of all white blogs like yours, but I don’t want to give up my colors — I’m conflicted! You’ve given me a tool and a plan. I’m going to spend time this weekend making a Pinterest mood board to help with the makeover of my book blog. How exciting!